Are you a teacher, youth worker or do you run a local community group? 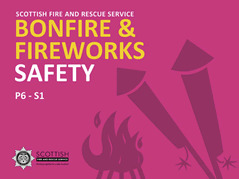 If so, you can help the Scottish Fire and Rescue Service to reduce the risk of injury to our children and young people by raising their awareness of the serious dangers associated with fireworks and bonfires. 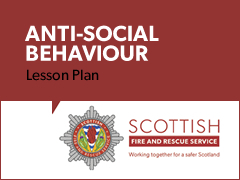 You can also help us to reduce anti social behaviour within our community by raising young people’s awareness of the potential consequences associated with deliberate fire setting, fire hydrant vandalism, attacks on firefighters and maliciously setting off fire alarms. You can find a powerpoint presentation and lesson plan designed for young people from P6 to S1 below. These presentations should not be delivered to pupils out with this age range. Bonfire & fireworks safety presentation is 8MB. 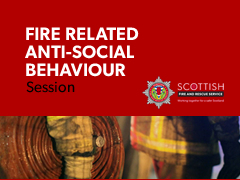 The Fire related anti-social behaviour session is 13MB. You can find more fire safety information and teaching resources for young people available from Go Safe Scotland.  The UK Government website also provides a range of resources to support you to deliver key safety messages. For further information please contact your local fire station.